Cooked on a stove top or baked in an oven, eaten hot or cold, rice pudding is enjoyed all over the globe. The basic ingredients for this simple but wholesome dessert are similar… rice, milk/water and sugar, but it is the variations, flavourings and additions by different cultures that give each rice pudding its own characteristic taste. The rice pudding I knew and loved when growing up was made using milk, sugar and raisins, sometimes enriched with cream and egg yolks and then baked in the oven… comfort food at its best! Last month Suzanne Husseini visited Bahrain at Words Bookstore Café promoting her cookbook… Modern Flavours of Arabia “when suzanne cooks” and her delicious version of rice pudding is flavoured with rosewater, orange blossom water and the seeds of a vanilla pod, served with a Date Compote. Inspired by Suzanne’s cookbook I decided to make Sütlac, a Turkish rice pudding that is sometimes flavoured with rosewater and mastic, and wanting to include an orange flavour in the rice pudding, decided to add some pieces of my home-dried orange peel. What I love about a basic rice pudding is… it’s like a blank canvas and you can experiment with a myriad of different culinary flavors. Chios mastic is an aromatic resin harvested from the Pistacia Lentiscus var. Chia (of the Anacardiaceae family) tree which grows on the Aegean Island of Chios, Greece. Chios mastic has both culinary (pastry, puddings, liqueurs, sweets, ice-cream, marinades, rice,soups and meats ) and commercial uses. If you look at some of the commercial ways in which mastic is used… plasters, cosmetics, varnish, toothpaste, stabilizers, perfumes and chewing gum… you do wonder how it ever ended up in anything sweet or savoury! 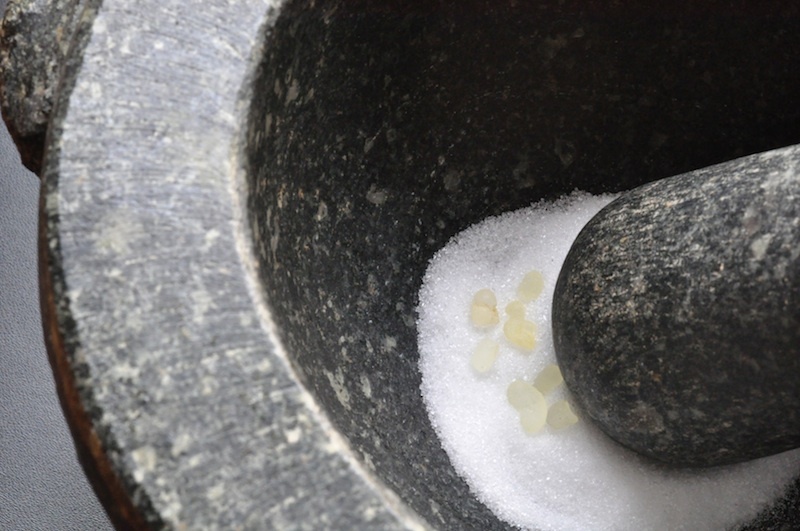 Suzanne uses mastic in some of her sweet and savoury recipes in her cookbook which she grinds together with sugar or salt before incorporating into other ingredients. 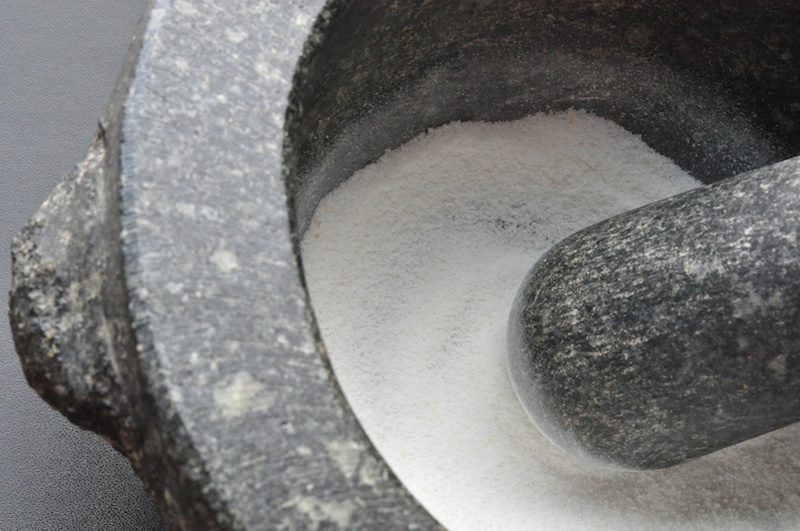 Bahrain is known for its herbalist stores ( hawaj ) across the island, which make many natural herbal preparations for all sorts of aliments, some of which contain mastic… also known for its medicinal properties. Ghazi from Al Makhlook stores in Jid Ali was able to supply me with mastic that came from the Greek Island of Chios… and was also able to tell me that my other supply of mastic which I had bought some time ago was definitely not from (photograph above) Chios! Chios mastic has pine-like aromas and a sweet warm perfumed flavour… some have suggested vanilla, cedar and licorice… which seemed to have escaped me! I must say it is hard to describe this unique flavour! The other mastic I had used before was harsh in flavour and had a slight bitter aftertaste, apparently there is another type of tree which produces a similar mastic resin! I guess it’s like tasting a good wine compared to an inferior wine… you taste the difference! 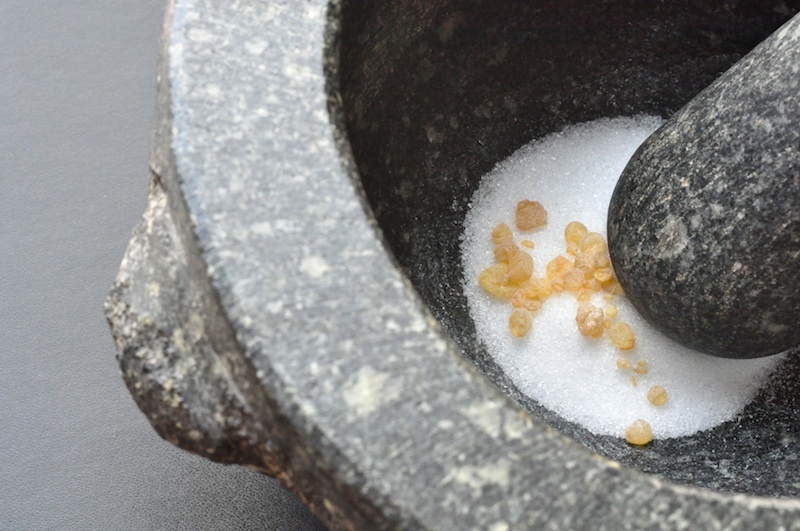 Use a pestle and mortar to grind the mastic and sugar into a fine powder,this helps disperse the mastic evenly into the rice pudding when incorporating. How to make: Pour the cream and milk into a medium saucepan, add the orange peel or cinnamon, heat together until almost boiling. Remove from heat, whisk in the sugar and leave the orange peel or cinnamon to infuse, cover with a lid. In a heavy-based saucepan bring the water to a boil, throw in the salt and rice, stir so the rice does not stick together. Lower the heat and gently simmer the rice (cover with lid) until tender and the water has been absorbed, around 17 minutes. Pour the cream and milk infusion into the cooked rice and place saucepan over medium heat, stir continuously until the rice mixture comes to a gentle boil. Whisk in the cornflour mixture and cook for a further 2 minutes until thickened. Whisk in the ground mastic and stir throughly. 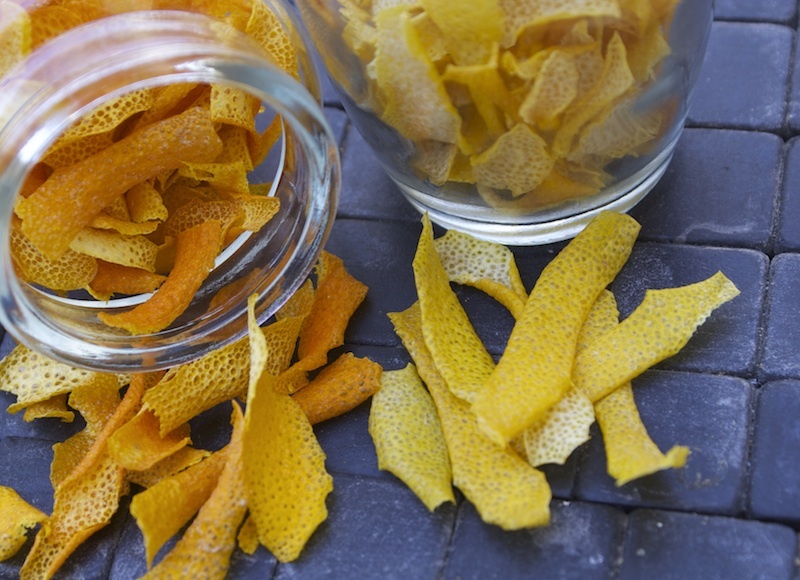 Remove from heat, discard the orange peel or cinnamon stick and stir in the rosewater. Spoon the rice into a serving bowl or small individual serving dishes and chill in the refrigerator before serving. Best served cold but can be eaten warm, if desired! Note: The rice pudding will thicken further when cold, you can stir in a little cold milk if you find the consistency is not to your liking! This recipe can easily be doubled. What flavourings and additions do you like in your rice pudding? 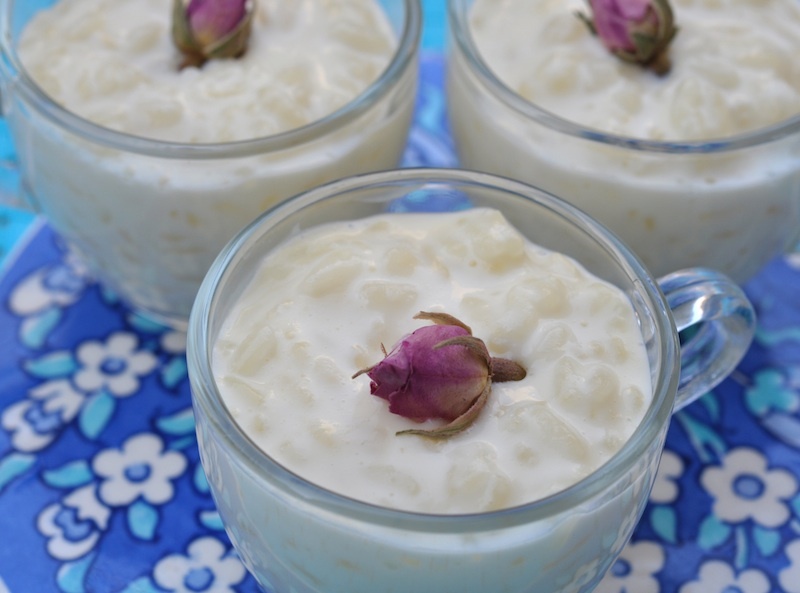 Rice pudding is very popular in our house and we flavor it with rosewater and add chopped pistachios on top. I have never cooked with mastic but would like to try it! Mmm Moya, this pudding sounds divine. I love all the flavours in this, although I have to admit I’ve never heard of mastic.